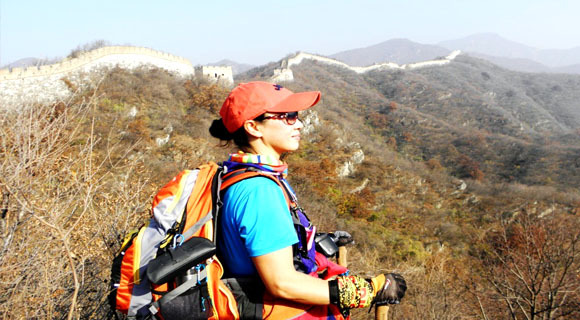 This is the most popular Great Wall hiking day trip for photographers and hikers. We will take about 5 hours to complete a distance of 10 km from Jiankou segment to Mutianyu segment. Hiking the whole route is like traveling through time from primitive to modern, presenting three phases of the Great Wall with striking contrast from wild, half-repaired to totally repaired. Our tour guide will meet you at your hotel lobby at 07:30. Then drive about 2.5 hrs to Jiankou segment of Great Wall. We'll start the hike about 10:00 by following a zigzag hillside trail that rises quickly to a Zhengbeilou Tower that is almost 1,000 meters above sea level. It takes about 1 hour to reach Zhengbeilou Watch Tower, which is a good spot to enjoy the scenery of the Great Wall. Then we will walk towards Mutianyu Great Wall along the rugged walls. Jiankou and Mutianyu are different segments of the Great Wall. Jiankou segment is wild and unrestored with its original appearance while Mutianyu segment is restored and easy to hike. You will experience both during the hiking. Upon arrival at Mutianyu segment, we will walk from No.23 Watch Tower to No.10 Watch Tower, which is the most beautiful and authentic part of Mutianyu segment. 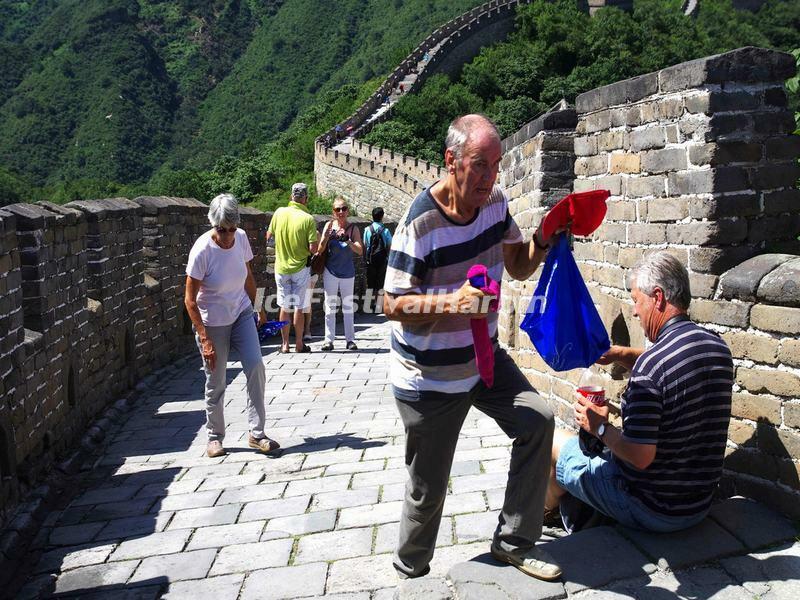 Then get down the Great Wall on foot or take a toboggan/cable car (optional). The cable car station is below the watch tower No.14. The toboggan is below the watch tower No.6. The walking path downhill is below the watch tower No.10. It takes about 5 hours in total to finish the hiking. Then we will head to a local restaurant, where you can arrange lunch on your own. After lunch, drive back to your hotel. 1. It's a long walk from the foot of Jiankou Great Wall to Mutianyu Great Wall, approximately 10 kilometers. You'd better wear comfortable shoes and clothes. We will provide you bottled water during the tour. Bring some snacks if you like. 2. The starting time of the trip is flexible, you can set your time when you book with us. Between hotels and scenic spots while sightseeing in Harbin by the private air conditioned vehicle with driver.